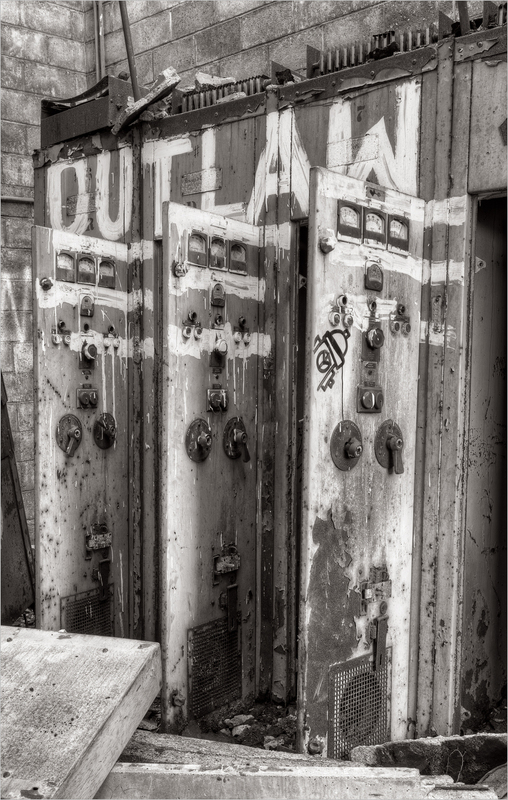 Electrical cabinets at the Carrie Furnace, an abandoned blast furnace across the Monongahela River from the Homestead Works. During my visits to the furnace I ran across this room several times, but on most occasions there was very little light available to make photographs. On this occasion the sun happened to be streaming through the only window in the room, providing a way to photograph the interior. These were apparently electrical cabinets that held circuitry of some sort. The audio segment associated with this image describes how the current condition of the Carrie Furnace compares to the way it was kept when it was an active mill in the late 1970s. Mr. Gault expresses what it is like for someone who had worked at Carrie to come back and see it in its present condition.